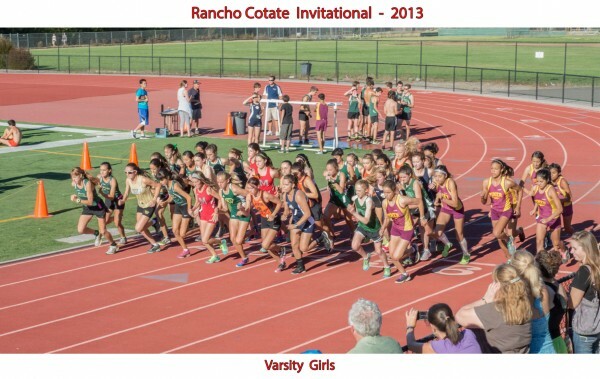 http://running.blogs.pressdemocrat.com/9738/rancho-cotate-invitational-matt-salazarsaskia-van-ommerman-egberts/ (Casa Grande sophomores take individual titles while Maria Carrillo sweeps team competition). Complete men's results: http://redcaptiming.com/2013/usfxc/130831F002.htm (Former La Costa Canyon HS runner, Eric Causey with the victory). Complete women's results: http://redcaptiming.com/2013/usfxc/130831F001.htm (Former Castro Valley HS runner, Kelsey Santisteban with the victory). 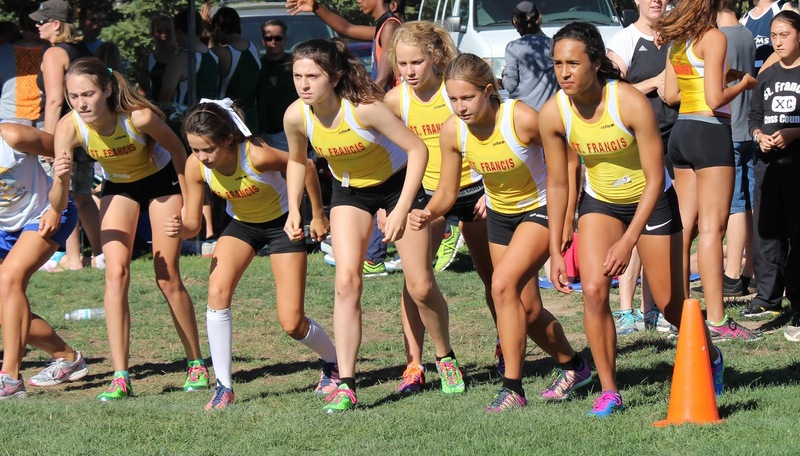 SACRAMENTO, Calif. – The St. Francis cross country program had a strong opening meet, taking a pair of team and individual titles at the Oakmont Invitational at Maidu Park. Senior Lauren LaRocco won the individual title for the second consecutive season with a career-best 14:02 over the 4-kilometer course. The Troubadours won the varsity race with 27 points, placing each of their top five student-athletes in the top 10 and three in the top five. Senior Madison Rawson was third overall in 14:29 with junior Miranda Myers close behind in fifth in a time of 14:46. Junior Camille Boudreaux crossed the line eighth in the varsity race in 15:39, while Mallory Shingle was 10th (15:42). Junior Chloe Kardasopoulos was 12th overall. St. Francis won the varsity team title for the third consecutive season, placing ahead of Whitney, Del Campo and Pleasant Grove. St. Francis also won the junior varsity title with a perfect score 15 as the Troubies claimed the top five spots in the race behind winner Ariel Medina (16:31). The frosh/soph squad was second overall behind Oak Ridge. The Troubadours return to action in two weeks at the Ed Sias Invitational on Sept. 14. St. Francis ranked among the top 15 nationally in preseason polls by both the NHSCA and DyeStat.com. We have over 1400 runners entered, in eight grade level races. 2.0 mile hilly course at Oak Hill Park in Danville CA. 30th year for this meet. Results will be provided by Weds, Sept 4th (we finish late). 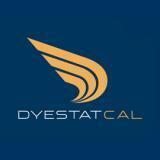 You can find the complete list at this link courtesy of Scott Joerger and www.dyestatcal.com. We will continue to update all the divisions throughout the season. If you have any information that you think may be helpful in ranking the following divisions, please use the comment section below or email me at albertjcaruana@gmail.com or Scott Joerger at scott.joerger@gmail.com. You can find the complete top 10 lists from Division I through Division V at this link (please note that SJS divisions have not been posted so possible changes may take place). Thank you to Scott Joerger at www.dyestatcal.com for all his hard work with all the top 50 rankings as well as the Division I though Division III rankings you see below. Comments are encouraged. Who did we miss? Who is under ranked? Who is over ranked? Who is going to be the best team overall? Feel free to post your own rankings for any division you feel strongly about at this point. The De La Salle boys break into the top 5 with a #5 pre-season ranking. Next up at www.dyestatcal.com is state divisional rankings for both boys and girls. Find out who is ranked in the top 10 in state in each division at this time of the season. Of course, we will have a clearer picture after a few races but it's never too early to prognosticate. Comments are welcome and encouraged. What NorCal teams will be ranked in the top 10 in their respective division? Who has a shot at a podium finish? What team is going to be the biggest surprise this coming season? The best of the best in California. As many of you figured out, St. Francis, Sacramento is one of the top 5 teams in California. They are ranked #3 along with 4 Division I schools. http://www.marinij.com/crosscountry/ci_23912670/former-tam-high-track-coach-vezie-81-dies (one of the pioneers for XC in the marin area (especially for girls) who should be remembered for his many contributions. He also started the Stinson Beach Relays which will take place this season for the 50th year. Thank you to Branson Track and Field coach Linda Gill (Tamalpais HS class of 1976) for sharing the link. She was NCS XC champion under his guidance and encouragement). Please also check out the site created by Linda and her daughter www.ranmarin.com. The site is for current and past Marin runners. Two NorCal teams make this group of teams. 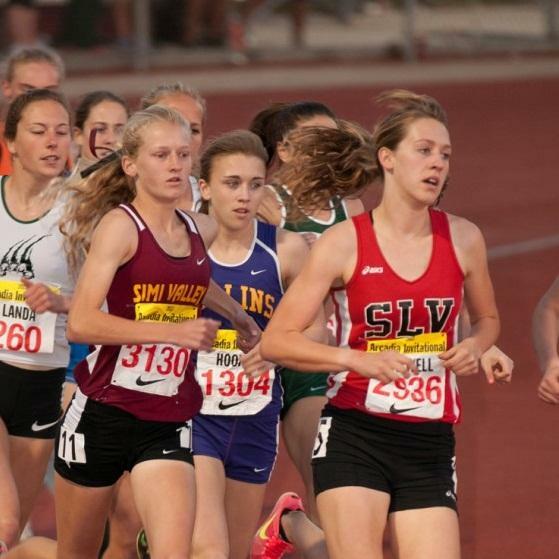 The #2 ranked SJS girls' team (Davis HS) on my SJS pre-season rankings makes this list at #8. 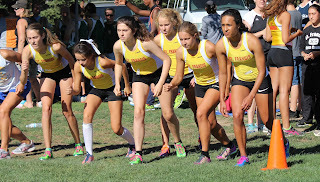 The #1 ranked team in NCS, the Campolindo girls, are ranked #10 on the California Cross Country pre-season list. Only 5 teams remain. Can you guess all five? Today we chat with Scotts Valley HS senior, Scott Edwards (pictured on the left courtesy of the Santa Cruz Sentinel at this past season's CCS Top 8 Meet). 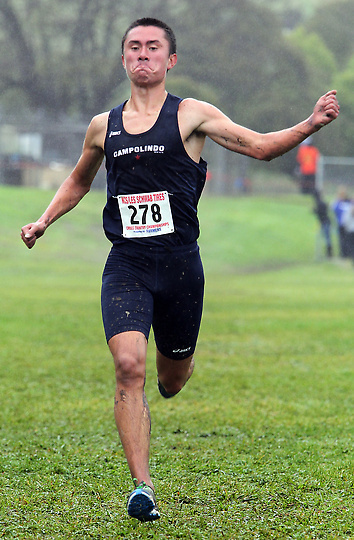 He had a terrific junior cross country season which culminated with him finishing 5th in the Division IV race at the CA state meet after finishing 5th at the CCS meet. On the track, Scott made a real statement when he won the CCS Top 8 meet over Yohaness Estifanos in the 1600m. with a new lifetime best time by 8 seconds in 4:18.47. He finished 2nd at the CCS meet in another PR of 4:14.99. Scott continued his impressive season by qualifying to the state final in 4:13.42 and then finished 7th in the final with yet another PR of 4:12.55. 1) How did you get your start in running? I had always enjoyed running when I was a kid growing up, but I had always played soccer. In seventh grade I ran cross country as well as played soccer, but I wanted to continue playing soccer. It was not until freshman year when my older brother, Tyler the cross country captain, convinced me to run did I consider XC. Once I started high school cross country there was no going back. 2) What other sports have you played besides cross country and track and field? I played soccer since I was five, as well as playing basketball, and baseball during little league. In middle school I gave up other recreational sports to play soccer for my club team as well as one season of school volleyball. I continued to play soccer in high school but trying to run competitively and play varsity and club soccer was too much. I quit soccer altogether after freshman year and decided to focus on running. 3) Highlights in both sports during your freshman and sophomore seasons? The highlight of my freshman cross country season was defiantly the SCCAL league meet. Through the season I had always been chasing my older brother trying to beat him. It was not until the league meet when I came close. At Pinto Lake he placed fourth and I placed fifth in 17:00 and 17:01 respectively. Moving into track the highlight was also the league track meet. My coach wanted to win the Frosh-soph division so he kept me in the frosh-soph races. I ran the 3200, 1600, 800, 4x400 in 10:42, 4:52, and 2:11 placing first in all of the events. For my sophomore year the highlight of my xc season was the trip to the state meet as an individual. In track my best moment was running pr of 1:58.10 at the league meet and qualifying for CCS. 4) Did you do anything different during the summer before this past cross country season? Where do you feel you made your breakthrough to the next level of competition? Leading up to the cross country season I did not really change up any of my training. I kept running six days a week with light to moderate mileage over the summer and during the off season in the winter. Where I think my breakthrough came was just uninterrupted training over the past few years. No one season or off season made the breakthrough happen, I have just put in the time. 5) Proudest accomplishments during your junior cross country season? My proudest accomplishment was the state meet. Leading up to the meet I had a few disappointing races making me worried about the state meet. Despite that, the state meet was the best race of my season by far. I placed 5th in D IV with a time of 15:45. 6) You had some struggles during the early part of this track season. What led to those struggles and how did you turn your season around? This track season started off with two large personal records in the 1600 and 3000. After that I had some difficulties progressively running slower times. The worst part of the season came at the Stanford meet. I was coming down with something and not feeling 100%. This caused me to run my slowest time in the 3000 and mile to date. As to what turned my season around, I do not know. At every race I just kept trying to improve my times, but it was not until CCS top 8 meet that I pr’ed. 7) What was the plan going into the CCS top 8 meet and what was your reaction to winning that 1600m.? 8) The competition in CCS this year was as tough as I have seen it in a long time. What was the plan going into the semis and finals? 9) Tell us a little about your state meet experience and describe both races. What did you learn from your state meet final race? Going to the state meet for me had been my goal all season and now that I had made it I was content with however it went. That being said I still wanted to do the best I could. Going into the prelims I personally did not have high hopes of making it to the next day, but the plan was to kick my way into the finals. I had been worried because of the heat but told myself to just go out there and act like this is any other race. With that in mind I was able to run a new pr and qualify for the finals. The final was somewhere I didn’t think I was going to be, but I embraced the opportunity. The pace for the two state races was faster than I had gone out ever for a mile but I assumed that was going to be the case. Holding on and kicking was my plan and in the finals, and that was working for me 800 into the race. With just over a lap and a half to go the leaders took off pulling everyone with them. I quickly fell to last place exhausted. The last lap came around so I gave every last bit into my kick. I was able to pull back into seventh place in a time of 4:12.55. 10) Tell us a little about your coach and how he has helped you develop into the runner you are today. My coach, Doug Chase, has been in coaching for forty years. He coached for thirty years in Illinois and retired to Santa Cruz. With his love for the sport he couldn’t stay retired long and started to coach at Scotts Valley. Much of my love for running has been instilled from him and his coaching. From the day I first came to practice he took a personal interest in every runner. He trains us to our own personal limits, but always knows how to inspire us to break those confinements when it counts. He helped get me where I am now, and will continue to motivate me throughout my college career. 11) Favorite track distance? Favorite track workout? Favorite long run? Favorite track invitational? Favorite XC invite? Favorite XC course? Favorite opponent(s)? My favorite distance in track has changed year to year. This year it was the mile, but last it was the 800m. That being said I do not think I have picked my favorite quite yet. As track workouts go, my favorite has to be either 400m or 800m, while for long runs I love any run in Nisene Marks or Henry Cowell. My favorite invite has to be the state cross country meet just because of the memories and experiences made with the team. As for my opponents, I respect each and every one of them but do not really have one rival or favorite opponent. 12) What does a typical week look like for you during track season from Monday through Saturday? Typical long run distance? Pace of easy runs? A typical week of training really depends on what races are coming up. Starting from the beginning of the week, we usually do a workout on either Monday or Tuesday depending on if there is a Thursday meet. A distance run during the season usually is anywhere from 45-60 minutes long at talking pace. We will do a pre-meet the day before a race and do a recovery day after races and hard workouts. Most of the training depends on what races are being run what days. 13) What do you feel have been the workouts that have been the biggest contributors for your success this past track season? I am a big believer that no one or two workouts make you a better runner, and that it is about the consistent training. That being said, my best workouts this past season have to be a four mile threshold run in Nisene marks, or 400m threshold work. 14) What advice would you give for a rising freshman/sophomore who aspires to compete at either the state xc or track and field meets? I would tell them that so long as you put in the time it can be done. I was an alright runner as a freshman and sophomore but it wasn’t until junior year that I really shined. The biggest part is to train during the off season. What made the difference for me was I came to love running and everything that comes with it. One NorCal team made the list at #20 and that is the top ranked team in the SJS, the Del Campo Cougars. Only ten teams remain and I believe one NorCal team will make that list. I know many of you are excited about the upcoming XC season. Here is your chance to share that excitement with the rest of this site's visitors. What race are you most looking forward to this upcoming season? Who are going to be some of the biggest surprises? Who are runners we should watch out for because they did work this summer? Who are the podium contenders? Who are the transfers we don't know about? Who are the impact freshmen? Here is your chance to speak up! One NorCal team makes this list and it's a SJS school. The Bella Vista girls are the #16th ranked team in the pre-season according to www.dyestatcal.com. Only 10 teams remain. Who are the NorCal teams will crack the top 10 list. 2 have been mentioned already and another should make the list as well. 20-11 boys will be posted tomorrow. Only one NorCal team ranked between 30 and 21 and that is Aptos HS at #22. I have them as the best team in CCS so my best guess is that Davis HS and St. Francis (Sac) are the two lone teams remaining that will be ranked in the top 20. De La Salle is the lone NorCal team mentioned as they make the 2nd list which consists teams that were not listed in the top 30. Two Sac-Joaquin Section girl's teams make the list with St. Francis (Sac.) coming in at 15th and Davis HS mentioned in the second tier group. What NorCal teams are left that will be ranked in the top 30? Who else is going to be ranked in the top 50 in state? Boys 41-50 will be posted tomorrow. and the #1 participation for girls in California is...................Track and Field! Also considered: Lick Wilmerding HS (Div. V),St. Mary's Berkeley (Div. IV) and University HS (Div. V). Feel free to comment on the above rankings. This is very preliminary and many teams are very close at this point. The SJS divisions for this year will be posted late August so until then, here are my picks for the top 10 teams in SJS regardless of division. I will let the visitors to this site decide. What do you want to read next? Interview? Rankings? Advice? You decide. The most asked for topic will be chosen. Feel free to comment on the above rankings. Did I miss anybody? Former Novato HS star Erik Olson now heading into his senior season at Stanford. Check out the following article written by David Kiefer at this link. Individual rankings for each NorCal section. Who are the best runners from each section. Who are the two best runners (boy and girl) overall in Northern California? Until then, feel free to chime in with your picks.